Slice potatoes to about 1/8" thick. Cover the bottom of a 9 x 13" baking pan, that has been coated with cooking spray, with potatoes, allowing them to overlap slightly. Sprinkle with salt, pepper, and half of flour. Scatter a thin layer of shredded cheese. Repeat for another layer or two until pan is filled. Salt, pepper, and flour again. Pour milk over mixture; top with shredded cheese. 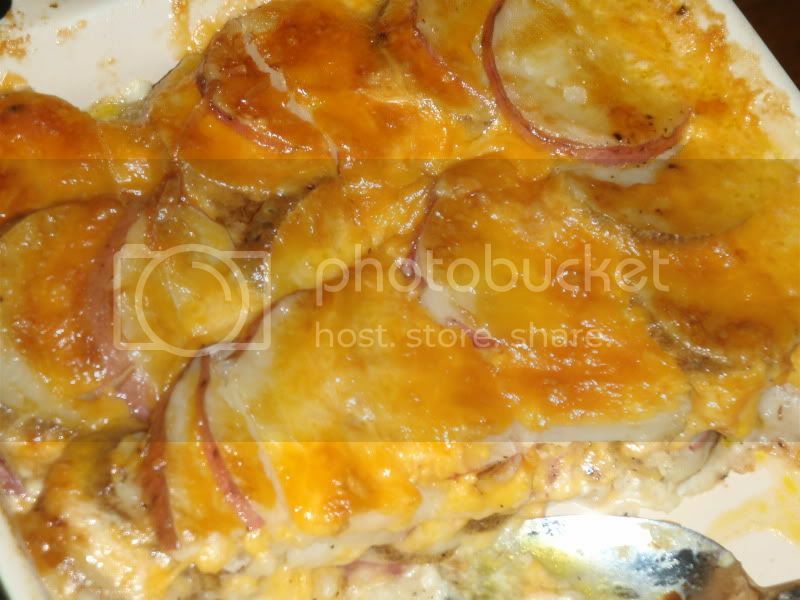 Cover and bake for 45 minutes or until potatoes are fork tender. Uncover and bake for an additional 10-15 minutes until cheese is golden.